SJA took on St. Anthony of Padua from Akron (9-0) in the Semi-Finals this past Saturday. While it didn’t turn out as we would’ve hoped, the 6th grade boys held their own. They lost to St. Anthony of Padua by one bucket with a score of 25-27. What an accomplished season! Our 3rd grade boys basketball team pulled out another Championship this season! They remained unbeaten in the St. Francis of Assisi Cougar Classic Tournament! The Championship game against St. Barnabas was a super intense game with tons of amazing defense from both teams. Buckets were tough to come by due to the pressure from each team. In the end, we pulled it out! Congratulations to Coach Mike White and his fearless Crusaders! The 3BB ended this season with 16 wins; only 1 loss; and 2 Championship Trophies to add to our case! Bring on next basketball season! 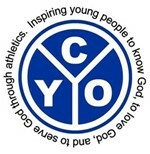 CYO Spring Sports Registration is up and running! Follow this link to sign up for Boys & Girls Track for Grades 3-8, Boys Baseball for Grades 3-8. Lacrosse is also being offered through St. Rita. Register each athlete at https://sja.e-ppe.com/index.jspa and complete all the required forms. Proper completed forms are required to practice and participate. For more information visit our website by using the link below. The 6th grade boys advanced to the Final 4 of the Blue/Gray CYO Championship Tournament by defeating Communion of Saints 21-18. The Crusaders were short-handed with just 6 available to play. They were able to come back from a 3 point deficit in the 2nd half. They pressed hard, went on 10-0 run in the 4th, putting SJA up by 7 with 1:30 to go and then ran the game out with the lead. Charlie Eibler hit his 1st career 3 pointer, and led the team in points with 5. SJA will face St. Anthony of Padua from Akron (9-0) in the Semi-Finals this Saturday. Go Crusaders! On February 16th, this high school team took on Gesu and came out on top with a score of 33-29. Their next contest against St. Mary Chardon will take place on 3/3/2019, time and location TBD. Our 3rd grade boys remained unbeaten in the St. Michael’s Blue Angel Basketball Classic Tournament! In the Championship Game against Our Lady of Angels, all of our boys played their positions amazingly! Each player gave their all and positively contributed to the points on the board. OLA was a TOUGH competitor. This team typically scores 30 pointed per basketball game. SJA 3rd grade held them to 15 points with our impressive defense. This team is also competing in the 2018-2019 Cougar Basketball Classic at St. Francis of Assisi in Gates Mills. So far, SJA 3rd grade is undefeated and will go for the win against St. Gabriel on Saturday, February 23rd at 11:00 a.m. at St. Francis. If they pull out the win, they will go for a second championship trophy on Sunday at 1:00 p.m. at St. Francis. Good Luck to our remaining teams!! Register each athlete at https://sja.e-ppe.com and complete all the required forms. Proper completed forms are required to practice and participate. The SJA CYO is a volunteer organization. We are always looking for people who are willing to help out. If you are interested in becoming part of our board or are willing to assist with any projects, contact our Athletic Director, Rena Panzica. Your assistance keeps our programs running for our children. Our volunteer coaches are the heart of our athletic programs. If you are new to coaching CYO - now is the time to prepare by passing the CYO Coaches Certification, completing Virtus Training and being fingerprinted. More information on volunteering with children can be found here. Please submit a Coach Application and tell us about your interest.